I wanted to take the time to discuss my upcoming costuming goals, plans, and random ideas. Last year, I did not give cosplay a second thought, and I did not post anything on my blog remotely related to cosplay. However, this year, I think I’m going to take another whack at it, and while I’m not guaranteeing every single one of my plans being accomplished, I do hope to see some costumes completed and added to my collection. You might now be wondering about the subtitle of this lovely post “The Hero, the Detective, and the Lady.” These archetypes are the titles of the three fictional characters that I mean to cosplay this year. All three of them are very dear to me, and I hope that my costumes will do them justice. Naturally, I am a college student, so I need to be realistic with myself. I do not think I’ll actually be able to sew my costumes this year. I’m not saying I won’t, but I’m saying the odds of my sewing my own costumes as I have done in the past is just very rare. I have found some great priced costumes on the internet for the specific characters I want to cosplay, so I think this year I’ll be going the easy route. Yes, I’m cosplaying Captain Marvel. And yes, I am a brunette. Do I care? Not really. Ever since I heard about her movie last year, Captain Marvel has been the main reason I wanted to get back into costuming. 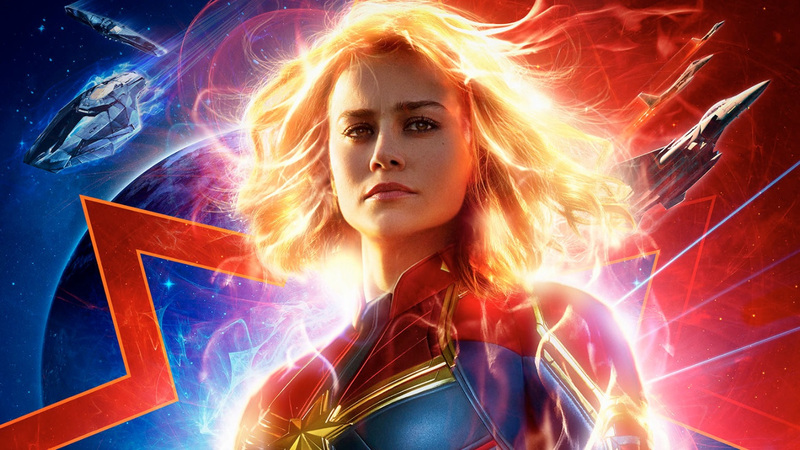 The Marvel’s newest on-screen hero, Captain Marvel is also said to be one of the most powerful heroes the Marvel Cinematic Universe has ever seen. She’s also a woman, which made it even more of a no-brainer for me. Plus, her reference in Infinity War in the post-credits scene was so exciting for me. I know she will have a HUGE role to play not only in her own movie, but also in Avengers: End Game. I actually already own a Captain Marvel suit. I bought it last year in October for Halloween, but it ended up a little big in some places, and I was in the middle of my college semester. I was able to make some alterations to the bracers, but the leg wraps still remain too big. I just need to fix those, and my costume will be complete. I bought my Captain Marvel cosplay from SkyCostume, which is pretty much like CosplaySky except they actually are a different company. Yes, it was a little on the pricey side, but honestly, it was well worth the money. Besides, I have never felt completely comfortable about sewing a superhero costume. There are so many layers and colors and emblems (not to mention the very delicate form-fitting part) that it seems a daunting task. Buying mine made it much more stress-free than trying to plan. I’m hoping to go see the Captain Marvel film on opening day wearing my costume. That is a must. I would love to do a photoshoot with the costume, but I always have a hard time planning those. It would be jolly good fun, though. Either way, it’s going to be a blast. Yes, lo and behold, I am going to cosplay Sherlock Holmes. This is a project that hatched itself in my mind last year when I started watching Sherlock, the BBC television series. While I have not read all of Conan Doyle’s stories, I’ve read a good number, and I have always loved Sherlock Holmes. If you haven’t read my latest post on the Conan Doyle Holmes story The Hound of the Baskervilles, go check it out! Anyways, I am hoping to cosplay Mr. Holmes this fall around October/November. I’ve been planning this costume for a while; not everyone is super jazzed with this cosplay idea, but I think it would be a lot of fun – especially since I’m already trying the whole “turning up my coat collar so I look cool” thing. Anyways, it won’t be as snazzy as my other ideas; I mean, in the show Sherlock mainly wears his double-breasted overcoat, the scarf, sometimes “the funny hat,” and in The Abominable Bride he has the pipe and a top hat. I want to keep the same feel of the Conan Doyle Sherlock since the show isn’t identical to those stories. 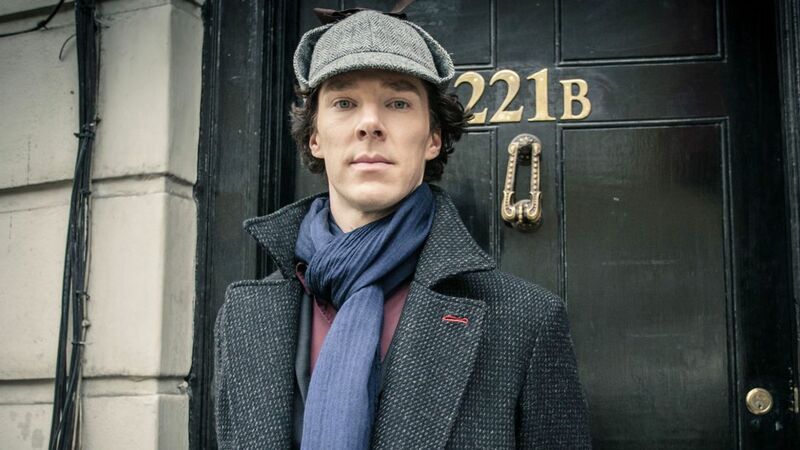 I also want to keep the same feel of the Cumberbatch Sherlock since I love the show. I’ll probably do a cosplay variation of both combined. Anyways, let’s move on from here and think about how I’ll be moving along with this idea. So far, I definitely know where I want to buy the cloak from, and I also know where to get the scarf from, and I also know where I’ll buy the hat. Those are three no-brainers. It’s pretty simple. To conclude, I want to discuss arguably my absolute favorite cosplay idea for this year: the Lady. 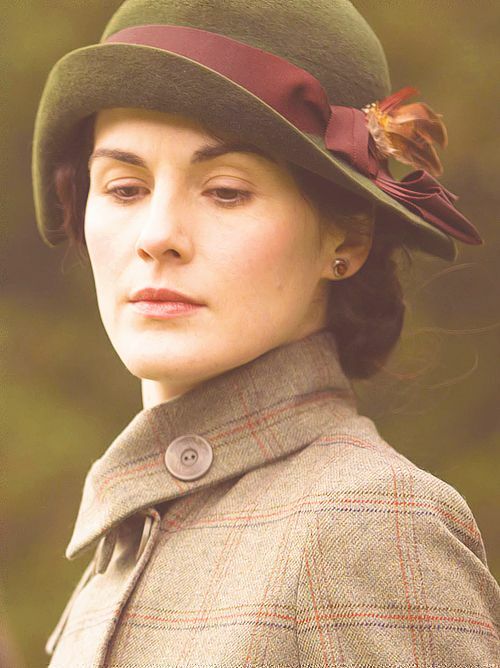 To be strictly specific, Lady Mary Crawley, from my favorite show on earth: Downton Abbey. Now, Lady Mary has no specific “costume.” In reality, I’m going to be doing a 1920’s-ish style cosplay and label it my Lady Mary costume. I know for sure that I want to do the hat, the hair, the makeup, and a 1920’s dress and shoes. And gloves. Must never forget the gloves, darling. 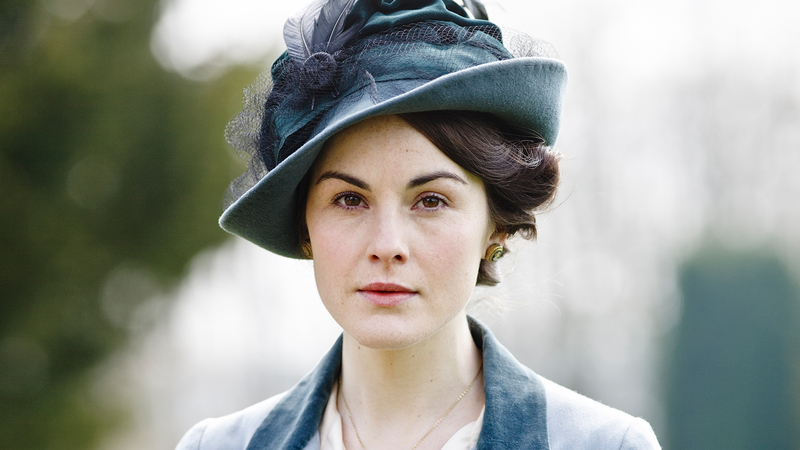 Lady Mary’s make up is not over-the-top like some of today’s female figures, but it’s just enough. I already have some nice lipstick picked out, and I’ve been doing a little bit to my eyes; I think it’ll turn out nicely. Again, I am hoping to buy the costuming materials and put it together in that way. I already have my eye on some pretty 1920’s hand sewn vintage dresses on Etsy with good reviews; I’ll make sure I let you guys know how the shopping part goes. I know I want to do headgear (if that is a proper term in the eyes of the Dowager :lol:) for this costume, but I’m having trouble deciding between a fascinator, a sun hat, or a cloche. I really really love the idea of doing a cloche. That’s my number one idea right now. I just think it looks lovely, don’t you? I don’t have too much of a plan with this yet, so I’ll keep updating as I go along, but for now, I just know that Mary inspires me to be a lady, and I hope my cosplay does her justice. Is she easily annoyed? Indubitably. Does she have high standards and ideals? Yes, and that’s what I love about her. Well, there it is, my friends! My plans for cosplay in 2019. Please feel free to share any ideas, tips, tricks, or anything else you think I’d like to hear! I’m all ears. Now, am I guaranteeing that all of these projects will be completed this year? No. I’m not. Because I’m human and I’m busy and I’m a college student saving my money like crazy! Nevertheless, I’m still giving this year my best shot with cosplay, and I hope to come back to this in the near future with a lot accomplished. Anyways, I’m super excited to start writing about my cosplaying adventures this year, and I also want to take some photos along the way. Super jazzed. Cosplay is a way to cherish my favorite characters, find the inner protagonist buried under my cluttery interior just waiting to be the hero God will use for His purpose. There really is a beauty to costuming, and I can’t wait to see what happens with it this year. Besides, who said costumes were for little kids?